"Einstein has boosted our online presence and helped make our firm more accessible to our community." 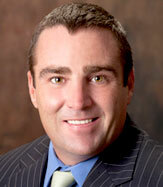 Chanfrau & Chanfrau is more than just a law firm. It represents the continuation of a family tradition that dates back to 1935, when Bill Chanfrau, Sr.’s grandmother was named the first official court reporter in Volusia County, Florida. Forty-one years later Bill Chanfrau, Sr. founded the Daytona Beach law firm that bears his name today. In 2001 William Chanfrau, Jr. joined the firm, with Kelly Chanfrau joining later in 2010, both talented attorneys in their own rights. While the Chanfrau family’s roots in law run deep, reputation and tradition go only so far in the Internet age. In 2006, the Chanfraus realized that they would need a superior online marketing strategy to the one they had at the time if they expected to remain the preeminent personal injury law firm in Daytona Beach. They reached out to Einstein Law, and we responded with a long-term strategy that included fresh, original educational content and custom video, along with a newly designed website. The result of this strategy has been an increase of 296 percent in unique, non-paid search traffic over a four-year period. Chanfrau & Chanfrau established itself as one of the most reputable and skilled personal injury firms in the state of Florida. The firm earned the prestigious AV Preeminent® rating from Martindale-Hubbell®, indicating that they had met the absolute highest standards of professional and ethical excellence in the estimation of their peers. They are also well known for their pro bono work and deep involvement in the community. in the legal field. Its pages were sparse and short of substantial information, with content that alternated between original and canned. In general, the site failed to provide a good user experience, let alone project the law firm’s prestige and importance to its community. Bill Chanfrau, Sr. turned to Einstein Law for a solution. The challenge before us was clear. We had to develop a strategy that would elevate the firm’s online reputation and bring it into line with the real-world reputation that the Chanfraus had worked so hard to develop through decades of experience in law. New, original content: According to content development company Content+, 60 percent of consumers feel more positive about a business after reading custom content on its website. In the case of Chanfrau & Chanfrau, our in-house writing team started from scratch, creating 20 pages of fresh, original copy that genuinely reflected the Chanfraus’ legal expertise and compassion for the wrongfully injured. Relevant, engaging videos: Marketing Sherpa reported that sites with video content attract between 200 and 300 percent more unique visitors per month than those without. We provided Chanfrau & Chanfrau with dozens of customized video clips, including introductions to the firm’s attorneys and powerful client testimonials. Open, modern new website design: Ultimately, the best content in the world will never reach its intended audience if users are alienated by the design the moment they enter a website. 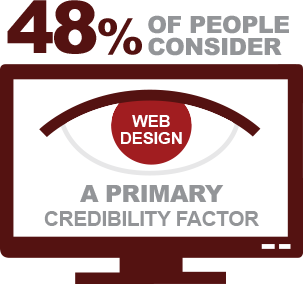 Digital marketing agency Ironpaper found that 48 percent of people consider website design the primary factor in determining the credibility of a business, while a staggering 94 percent cite poor design as the reason they mistrusted or left a site. We designed a new site for Chanfrau & Chanfrau that extended its brand and framed the new content beautifully. We were convinced that, along with such important elements as regular blogging and participation in social media, this strategy would allow Chanfrau & Chanfrau to establish its prominence on the Web just as it had in its community. 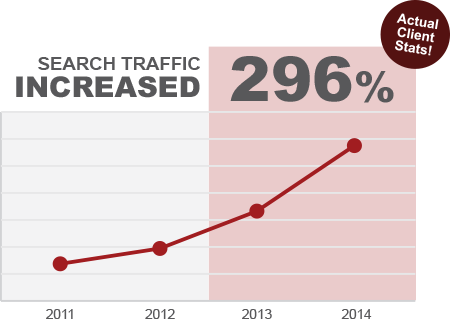 Between May 2011 and May 2014, the site has experienced a 296 percent increase in unique, non-paid search traffic overall. 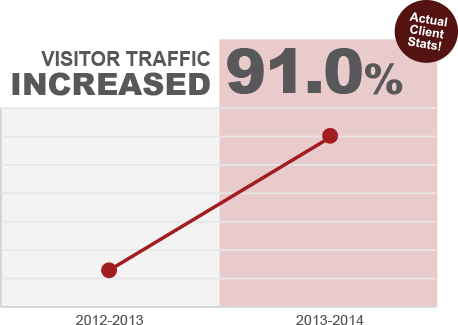 The year-over-year increase in unique, non-paid search traffic between May 2012-May 2013 and May 2013-May 2014 is 91 percent. While these numbers reflect an impressive past, Chanfrau & Chanfrau has set its sights on the future, one that will feature a new website that is even more comprehensive and informative than its current one. The Internet never stops progressing, and the Chanfraus are looking to us to help them stay ahead of search engine trends and maintain their reputation as the first family of law in Daytona Beach. "The site communicates our message and has helped generate a lot of good cases as a result." That, of course, is another story that has yet to unfold. In the meanwhile, the firm’s current strategy is thriving. 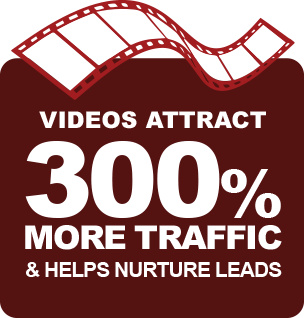 1 "Content Marketing: Videos attract 300% more traffic and nurture leads." MarketingSherpa.com. 2011-12-14. Retrieved 2014-04-01. 2 "SME website statistics." RareformNewMedia.com. 2014-02-14. Retrieved 2014-04-01.